Your tax deductible donation more will help Storytellers International produce the films that tell the worlds stories to the international DocumentaryTV.com audience. Click the DONATE button below to contribute through a secure PayPal transaction. 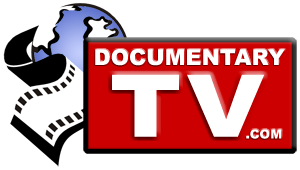 We are in need of funds to further the development of DocumentaryTV.com and implement some of the exciting features we have planned, including filmmaker specific pages where you can follow the progress of individual films by your favorite filmmakers. As we develop filmmaker pages, you will be part of our unique community allowing interaction, feedback and ideas to flow between filmmakers and their audiences. The films produced by Storytellers International, as well as the development and maintenance of the website DocumentaryTV.com, are made possible by your donations. Storytellers International is a non-profit 501(c)(3) charitable organization incorporated in the state of Iowa. All donations are tax deductible. Please consider a donation of $25 or more, and share a link to our site with your friends on social media. For your convenience we accept online donations using credit cards or PayPal using the secure PayPal Donate button below. For inquiries regarding making a donation to help Storytellers International please call 1-563-650-4862 or email donations@storytellersinternational.com. Shop on Amazon at smile.amazon.com/ch/26-3817690 and Amazon donates to Storytellers International on your behalf.